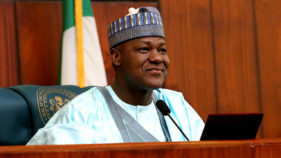 It does appear that a constellation of forces, expected and unexpected, have compelled the ruling party, All Progressives Congress (APC), to double down on the issue of restructuring. It has meekly, mealy-mouthedly, descended from Mount Sinai to the lowest point on planet Earth. 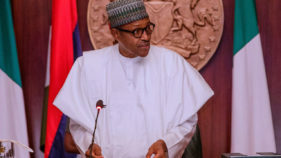 For two years since President Muhammadu Buhari took his chair at the Aso Rock Presidential Villa, restructuring as an idea had seemed to his party like a hostile, alien, alienateble ideology. It seemed like leprosy, a disease you needed to avoid in order to avert contagion. You needed not only to ignore it, thought the APC, but in fact to fight it, wrestle it to the ground and slaughter it. You needed to recruit a number of efficient snippers, veritable sharp shooters from every corner of the party and country to engage in non-stop target practice. Target? To shoot and kill the restructuring idea. At first, some of the sharp shooters said “true federalism” or “restructuring” was nowhere to be found in the party’s manifesto. Others queried the “meaning” or the “true meaning” of “true federalism.” Others asked if there was its polar opposite “false federalism.” All kinds of queries were raised for the obtuse purpose of obfuscation, of convincing or confusing the public on the matter. But the subject resisted with exceptional strength the attempt to kill it. Every controversy that the APC apparatchik raised on the issue seemed like fresh water poured on the fertile soil on which the restructuring idea had been planted. The idea bloomed and blossomed gathering new converts and developing a life of its own. No one could abort it. During this inglorious period of roaming in the wilderness, the party thought that the idea would go away, it would lose steam and it would wither away like leaves in the dry season. Little did they believe that restructuring was an idea whose time had come. It did not come ahead of its time. The signs of its coming had been there. Failed Federal Government projects in every imaginable sector were ample evidence that the Federal Government was biting more than it could chew, and was chewing more than it could swallow. While what it chewed got stuck in the Federal Government’s throat like a fish bone, we the unhappy citizens became the unhappy victims of decaying infrastructure, unsafe neighbourhoods and an economy that had gone belly-up swallowing in all its greed the vanishing naira in our pockets. As things worsened, as the public began to smell the rancid odour of frustration, I knew that we had begun to reach an irreversible moment of no return. Before Dr. Olusegun Obasanjo rolled his tanks into town the other day, other patriots had been preaching the sermon of restructuring anywhere and everywhere in the southern part of the country. Later, the message seeped into the Middle Belt states officially called North Central zone. Now there are rallies, restructuring rallies, in the South while one is already being planned for the Middle Belt. These are not necessarily rallies to convert the unbelievers but activities to reinforce the faith of the converted. Most people in the South had long been believers in the strengths of a properly structured federation as the key to problem-solving in a heterogenous society such as ours. Now the APC is genuflecting. It was forced by the typhoon of public pressure to set up a committee headed by Nasir El- Rufai, governor of Kaduna State, on restructuring. The team took the idea on a road show. The public resoundingly supported it, but the party sat on the report submitted several months ago. It is now compelled by the logic of 2019 to release the report which takes an opposite position as President Buhari. People are now wondering whether the current posture of APC is a product of penitence or of political expediency or some kind of abracadabra conceived to hoodwink the people with the dazzling prospect of a newly restructured country soon. The party has now yielded to the legal doctrine, audi altarem patem (hear the other party) since it has its feet to the fire now. The party can hold no one but itself responsible for the current show of disbelief because the party itself has been living in denial all along. But let us show some faith in the party’s volte face and see whether or not it is ready to walk the talk on its prescription for a new Nigeria. 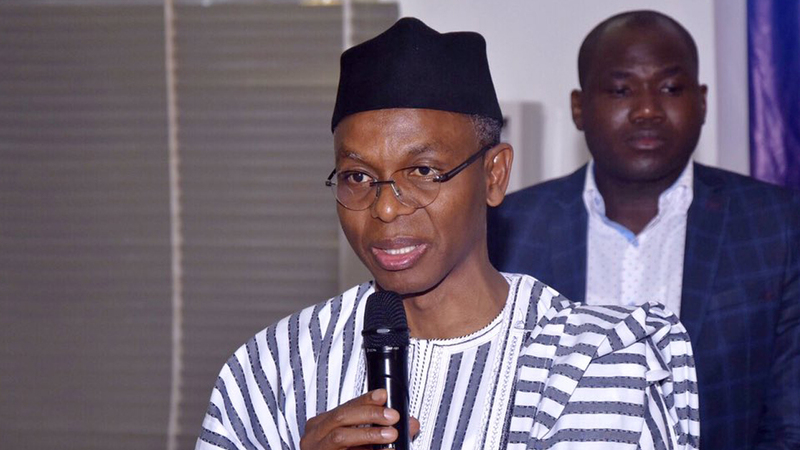 The El-Rufai report recommends that 10 items be moved from the Exclusive to the Concurrent Legislative list thus giving state governments more powers. It recommends state police, independent candidacy, resource control, referendum on burning national issues, and the abolition of “state of origin” which it wants replaced with “state of residence.” El Rufai said that Nigerians have clamoured for these changes for long and his Committee had listened to the voices of the people and “taken into account the reports of all previous constitutional and national conferences.” The El Rufai Committee had also drafted the requisite bills to be passed by the National Assembly and the State Houses of Assembly. All of these sound very interesting because the recommendations and the implementation strategy are almost a Xerox copy of the 2014 National Conference decisions. In content and strategy they are Siamese twins. The 2014 National Conference distilled the unimplemented recommendations of earlier conferences. It drafted portions of the Constitution in need of amendments. It drafted fresh bills that should be passed into law. The El-Rufai Committee Report is a grudging compliment to the conferees of the 2014 Conference. We accept it will pleasure. However, the report contains a controversial issue which generated a lot of fuss many years ago; onshore/offshore dichotomy. It was resolved by the Obasanjo government by negotiation with the oil producing states. Obasanjo called it a political solution. Any attempt to resurrect it may end the way the previous attempt at creating this artificial dichotomy ended: fiasco. There are three principal reasons why the dichotomy controversy should not be ignited again. One, it is an attempt to oppress-and cheat-the people in the oil producing states. 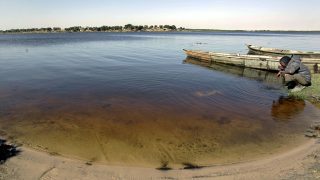 Two, the people who live on the banks of the water where oil exploitation is carried out are fishermen and the oil activities have done a lot to deprive them of their source of livelihood. Three, gas flaring goes on in the oil producing states every second of the day damaging the lives of the people and the ecosystem. It does not discriminate between those who live on shore and those who live off shore. It is an issue that had long been settled and it will be futile to exhume it. However, we need to urge the APC to show sincerity on the issue by fast-tracking its implementation before 2019. One hopes that it is not an election gimmick but a sincere desire to move our country on the path of development, security and sustainability. If it is an election gimmick it will be dead on arrival. If it is a sincere approach to solving the nation’s nagging problems it will receive the unstinted support of most Nigerians. My gut certainty is that the APC has now regretted the harsh words it lavished on champions of restructuring before its conversion to the restructuring creed. It is my pleasure to remind them of what the famous dramatist, Ola Rotimi, said about words. He said that we should always use words sweetly and softly in case we have to eat them. Do the words now sound soft and sweet in the palate of the APC? Now, Chief John Odigie-Oyegun, APC chairman, has spread a welcome mat for a hitherto hostile ideology to walk on. Very good. Thank you for doubling down.